There are plenty of people who are overweight and are struggling to lose their weight. Losing weight can take a lot of dedication and patience on your part. But you cannot get it done with magic pills and solutions. Watching what you eat and exercising are the best ways to go about losing weight and getting fit. MyNetDiary is a very handy application that helps you manage your food and improve your health the natural way using your tablet. 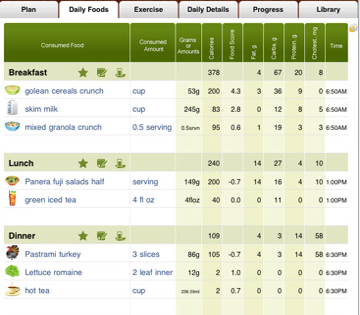 MyNetDiary keeps track of your food and exercises and helps you track your progress over time. It has over 100K food in its database that you can take advantage of to choose the ones that make a better, healthier meal. This app shows you all kinds of information on each food, allowing you stay on track on a daily basis. MyNetDiary also covers 500+ activities, showing you how much calorie you are burning on a daily basis. That way you’ll know if you are going overboard or off track with your diet. This app is capable of helping you plan more effectively too. The charts make it easier to track your progress too. 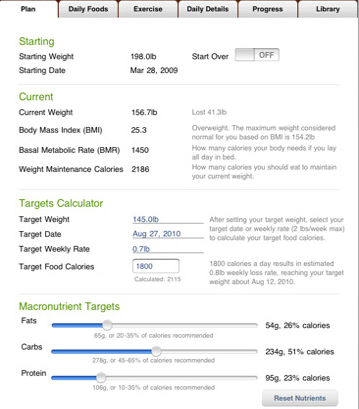 To sum things up, this is a very useful app for those who want to lose weight and become fit. It makes it easy to plan and stay on the right track with diets. Very powerful tool.